Stay-at-Home Mom Shares a Good Money Hack When Managing Her Hubby's Salary! Budgeting is doubly hard when you are in a single-income household, but it doesn’t mean that you can’t be in control of your finances. On the other hand, it might even make you more money-savvy because you need to keep track of your cash flow. 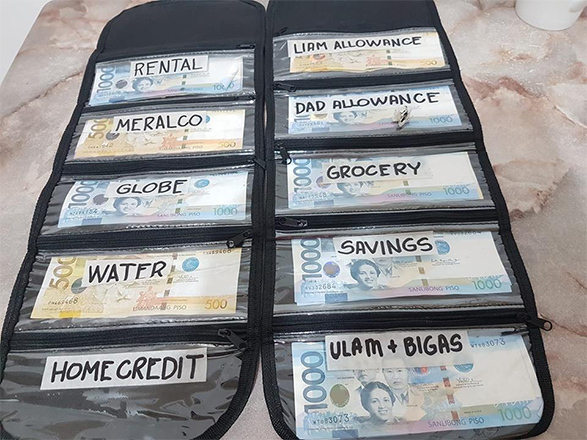 At Smart Parenting's Facebook group, Smart Parenting Village (SP Village), a stay-at-home mom named Madeline “Madz” Ellado shared the simple hack she uses to keep her family’s expenses and savings in check: a money organizer that she purchased from Lazada. Bills are kept neatly in each pocket and are properly labeled according to expense. Speaking with SmartParenting.com.ph via Facebook Messenger, Madz says that she started the habit of putting money in the organizer when her son, Liam, turned two years old. Their expenses ballooned especially with Liam’s milk and diaper needs. It was also her way of helping her husband, Aldwin, manage his income. She also tries to save an additional Php2,000-Php3,000 every end of the month and all of their savings go into her son’s junior savers account. 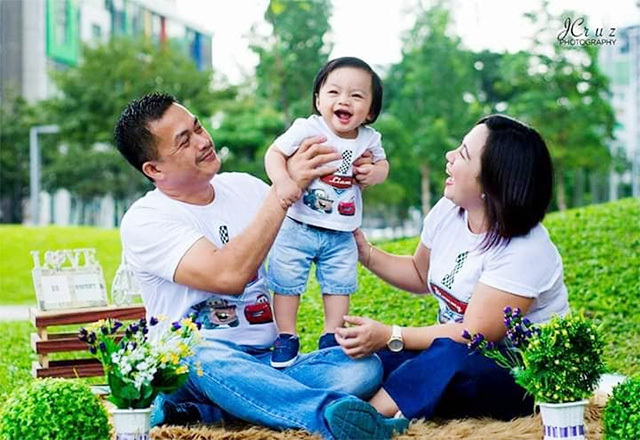 Madz with her husband Aldwin, and her three-year-old son, Liam. Apart from their savings, Madz says her husband takes care of their insurance. They are also thinking of getting an educational plan for Liam, who is now three years old and who will be starting playschool soon. 1. Write down your grocery list and stick to it. 2. Get your husband’s full support. 3. Set a budget that’s within your means.